When I first got into the Interior Design & Décor industry I had a lot of “Say what?” moments. Usually, upon seeing the dumb expression on my face, my colleagues/employers would help me out with the meaning of the word that had me so perplexed. So, to save you some head-scratching, we are compiling a Décor Dictionary explaining all the design & décor lingo, jargon and terms you might be unfamiliar with. 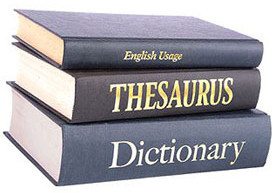 We will build the glossary gradually, adding one or two words every week. Anglepoise: a balanced-arm lamp designed in 1932 by British designer George Carwardine. Carwardine, a design consultant specialising in vehicle suspension systems, saw an alternative use for springs and levers and created a mechanism with task lamps in mind. Carwardine teamed up with the Terry Spring Company to refine the Anglepoise lamp for the domestic market. Today Anglepoise is seen as a multi-product iconic British brand. Antique: applies to an object or piece of furniture at least 100 years old. Its rarity, condition, utility, or other unique features play a big part in whether it is desirable as a collectors’ item. Well looked after antique pieces often appreciate in value over time and are seen as an investment, unlike the mass-produced contemporary furniture pieces of today. Armoire: is the French term for a large loose-standing two-door cabinet, usually containing shelves, hanging space, and sometimes drawers below. Generally used for storing clothing or household items, interestingly enough it was originally used for storing arms. Made popular in the late 17th century by Louis XIV, the period pieces are often extremely ornate and imposing whereas contemporary armoires are less ostentatious. Art Deco: is a highly decorative design style that originated in Paris in the early 1920s and flourished internationally, tapering off in popularity towards the 1940s. Considered to be a lavish, eclectic form of elegant and stylish Modernism, it was also said to be influenced by Cubism and Futurism and various other design styles. Art Deco design made use of symmetrical geometric shapes – faceted forms, trapezoidal, chevron patterns, ziggurat-shapes, sunburst motifs, and jumbled shapes – inspired by Greco-Roman, Egyptian, African and Aztec designs. Art Deco furniture frequently featured marquetry, inlay, enamelling and other techniques to create surface interest. The use of opulent, exotic woods and materials such as stingray and zebra skin was also evident. Vivid, bold colours were often used but later subdued into a white, black, and metallic colour palette that is often identified with Art Deco today. Furniture and interiors combined sleek curves with angular forms often reminiscent of simplified earlier decorative styles. Banquette: (English pronunciation: “bang-ket”) is a long bench with an upholstered seat. Often associated with dining areas, kitchen nooks, and restaurants – banquettes are usually built-in or fixed to either floor or wall. It has however become increasingly popular to use loose standing settee-type benches in a banquette context. Beni Ourain Rug: is a plush shaggy pile rug hand-woven from Berber wool by the nomadic Beni Ourain tribe of the Moroccan Atlas Mountains. The rugs, which traditionally were used as bedding rather than carpets, are easily recognizable by its ivory background and simple dark geometric patterns (frequently featuring diamond shapes). Beni Ourain rugs were a popular choice in the early 20th century – often favoured by the Modern masters such as Le Corbusier, Charles & Ray Eames and Alvar Alto. Bespoke : is the British word for “custom” – it is also a term you will often hear in relation to furniture. This means to order a furniture piece individual and specific to your requirements and taste. Custom-made furniture usually takes a handful of weeks to manufacture. Bolster: is a long narrow pillow or cushion. Most often cylindrical, bolsters can be added to a bed or sofa as a decorative element. They can also function as head or back support and are often used as bumpers in cribs or act as barriers in the beds of small children. Bombé: is a French term for any furniture piece with a rounded or convex shape – fronts and sides. The word bombé literally means bomb-shaped, cambered, or bulging. Popular during the French Regency period of Louis XV, the bowed shapes where often found on bureaus, chests of drawers and commodes. Because of its French pronunciation, the term is occasionally incorrectly spelt as “Bombay”. Boucherouite: (pronounced boo-shay-REET, a word derived from a Moroccan-Arabic phrase for “torn and reused clothing”) is a “rag rug” woven by the nomadic tribes of Morocco including the Berber. In the mid 20th century, Morocco saw some socio-economic change which resulted in a reduction in wool production. It is during this period that tribal weavers started supplementing wool with recycled fabrics, cheap synthetic fibres and even plastics. Boucherouite rugs are easily identifiable by their bold and vibrant colouring and asymmetrical free-form geometric patterns. Breakfront: a large piece of furniture, usually a bookcase or cabinet, where the centre section juts forward projecting past the flanking side sections. It is this stepped out piece that disrupts (or rather “breaks”) the straight line of the front of the cabinet – hence the name. Cabriole Leg: (pronounced: cab-ri-ole) refers to a tapering furniture leg with an outwards curving (convex) “knee” and an inwards curving (concave) “ankle” ending in an ornamental foot. It is most commonly associated with the English Queen Anne and Chippendale furniture styles of the 18th century as well as the French furniture of the Louis XV period. The name derives from the French term cabrioler, meaning “to leap like a goat” – so named for its likeness to the leg of a leaping animal. Chaise Longue: (French for “long chair”) is a low upholstered sofa in the shape of a chair that is long enough to support outstretched legs when reclining. This blend of chair and daybed originated in Egypt and is almost as old as the Egyptian empire itself. Chinoiserie: is a French term (meaning “Chinese-esque”) referring to a style of art and decoration reflecting Chinese designs or motifs. A popular style of decoration in Europe since the mid-to-late 1600s, Chinese influences were often mixed in with the more European Rococo style. The Style often features decorative Chinese latticework, lacquer and gold, bamboo, and wallpaper & ceramics featuring orient-inspired toiles, Chinese landscapes and foliage. CMT: is an acronym most often used in the fashion production industry meaning “Cut, Make & Trim”. It can also be used in relation to the décor trade to describe the fabrication process of bespoke furniture, window treatments and upholstery. “Cut” refers literally to the cutting of the fabric, timber, or other elements; “Make” is putting it all together; and “Trim” refers to quality control and readying the item to be shipped. In short, it means “manufacture”. Console: is a narrow wall table generally used for the display of decorative objects and often found in foyers, hallways and antechambers. Traditionally, console tables were fixed to the wall and therefore only needed two, typically very ornate, front legs. Today, console tables are also often used at the back of sofas as sofa tables. Contemporary Style: basically means “of this moment.” It is a new current style of design and interiors that exist in the here-and-now. Today, we often relate Contemporary Style to the simplistic, minimal, clean and uncluttered look – think linear lines, neutral colour schemes, stainless, glass, and sleek timbers. However, Contemporary as a style is ever-changing and dynamic – what we view as contemporary today might will not be contemporary tomorrow. For example: In the 80s the Biggie Best country cottage style was BIG in South Africa – it was the contemporary style of the time (i.e. the 80s), yet today it is outdated and vintage. Demilune: (or demi-lune) is a French term (meaning “half-moon”) referring to a semi-circular wall table in the console family. A typical demilune table has three to four legs. Some traditional demilune tables have a drop-leaf top and pull out legs that open the tabletop into a full circle – these are often used as card tables. Dhurrie: a flat-woven rug traditionally made from cotton or wool and indigenous to India and its surrounding regions. Woven on horizontal looms, Dhurries have a tight weave with no pile, making them hard-wearing and reversible. With its diversity in patterns (traditionally designs include geometrics, stripes & plains) and wide variety of colours, Dhurries makes for versatile and desirable rugs. Distressing: is the process of intentionally blemishing or damaging a piece of furniture in order to give it an aged, weathered, or rustic appearance. During this refinishing technique, items are often sanded, scraped, dimpled, bleached and stained, or treated with crackling paints and coats. Distressed furniture is a popular element of the Shabby Chic interior style. Drop-Leaf Table: a table with a fixed centre section and a hinged flap, or “leaf”, on either side that can be raised to increase the table size. When not in use, the leaves can be folded down, or “dropped”, to make the table more compact. Eclectic Style: is a rather avant-garde style of interior design that encompasses a diverse variety of periods, styles and tastes brought together by utilizing colour, texture, form and finish. This matching of various styles, periods and elements result in a multi-layered and highly individual interior loaded with interest. A basic example: take a Persian rug; add a Louis XVI chair coupled with a contemporary geometric scatter cushion; then add a rather industrial-looking floor lamp and maybe even a mid-century side table, et voilà! English Roll-Arm Sofa: or “Club Sofa,” is a comfortable yet elegant sofa with low pleated, rolled arms, a fixed (or “tight”) angled back, a unique downwards swoop of the side, loose T-seat cushions, and turned front legs on brass casters. The sofa, which has become the epitome of timeless English country estate design, is also sometimes called the “Howard Sofa” as it was designed by British furniture manufacturers, Howard & Sons, in the 19th-century. Faux: (French for “false”) a term used to describe objects, materials or finishes which are made to imitate or resemble the genuine article. Faux products can include embossed vinyl made to look like leather, synthetic fur, man-made stone, vinyl or printed wood flooring and decorative paint techniques that replicate the appearance of materials such as marble, wood or stone. Feng Shui: pronounced ‘Fung Shway’ – literally translated means ‘wind-water’. It is the applied art of achieving balance and harmony in an environment. Space is planned and objects are placed in such a way as to facilitate the free flow of good energy. Hence the name ‘wind-water’. Finial: a decorative element marking the top or end of some object. This crowning fixture can often be seen on top of a piece of furniture, such as the end of a bedpost or curtain rod. In architecture, a finial is the ornamental termination of a roof pinnacle or gable. Gateleg Table: a type of drop-leaf table with legs that pivot out from the centre of the table to support hinged flaps or leaves, that can be raised to make the table larger. The name reflects the structure of the legs – traditionally joined at the top and bottom by stretchers mimicking a “gate”. Houndstooth: is a duotone textile pattern characterized by broken checks or abstract four-pointed shapes that originated in the Scottish Lowlands. Historically Houndstooth was woven in wool, with a rather small pattern scale, in the traditional black-and-white colourway. Today, it is woven or printed in a wide variety of fabric, scale and colour. A large pattern scale Houndstooth is considered more contemporary. Hygge: (pronounced “hoo-ga”) is a Danish term, or rather philosophy, that refers to a sense of cosiness, comfort, hospitality, and a general feeling of contentment, happiness, and well-being. Hygge, which can be used as both a noun and a verb, is a cultural ideal and can be closely linked to social togetherness. The term is also widely used in Norwegian and is fast becoming a global expression. In view of its unique and relatable meaning, the interiors industry has latched onto Hygge as it personifies the subtle comfort and cosiness of certain spaces. Ikat: is essentially a dyeing technique, similar to the tie-dying process, known for its use of bright, bold colours. It was originally produced in several pre-Columbian Central and South American cultures, however, the technique has been adopted by many eastern countries. Ikat weaving styles and pattern vary widely and many design motifs may have ethnic or symbolic meaning. Jacobean Fabric Pattern: refers to English floral textile design prevalent during the reign of James 1 in the early 17th century and is often associated with crewel embroidery. The pattern, which features strong Eastern (Indian) influences, was inspired by the ancient “Tree of Life” motif. This fabric pattern frequently features winding branches, fruit, birds, and large, highly-detailed, exotic flowers and leaves in rich colours. It is these stylised flowers that give Jacobean fabric its whimsical almost fantasy-like appeal. Kilim: (from the Persian “gelīm” meaning “to spread roughly”) is a pileless hand-woven textile made in Turkey, the Balkans, the Caucasus, Iran, Pakistan and various parts of the Middle East. Kilims traditionally feature predominantly geometric patterns and symbolic motifs in rich brilliant colours. It is most often associated with rugs; however, the tapestry-like textile is also frequently used as wall-hangings and upholstery. Lacquer: is a clear or coloured hard-wearing furniture coating with an intense high-gloss finish. The word “lacquer” borrows its name from the lac insect whose shellac-rich resinous secretions (think nail polish) were often used as a wood finish in ancient India. Lacquerwork is also synonymous with the ancient East Asians who used the sap of the Chinese lacquer tree to achieve a durable, shiny glaze. Today lac-based finishes are likely to be referred to as shellac, while lacquer is comprised of more synthetic substances. Lime Wash: (or whitewash) is a traditional treatment for wood or masonry made from a slaked lime mixture. In recent years the traditional lime has been replaced by semi-transparent stains or diluted white paint as the favoured method of whitewashing. Matured lime wash gives wood an aged look – the finish is translucent, allowing the wood grain to show through. Furniture with a washed effect is often associated with French Cottage, Shabby Chic, and Coastal styles. Linen Press: (or just “press”) is a large hardwood cupboard or cabinet designed for storing household linens such as sheets and blankets, tablecloths and napkins, towels, clothing, and related textiles. Traditionally, a linen press consists of a two-door upper cabinet with pull-out shelves over a chest of four deep drawers below. Matelassé: (pronounced: mat-la-SAY) is a weaving or stitching method yielding a fabric that appears quilted or padded. This effect can be achieved by hand, jacquard loom, or quilting machine. The fabric is meant to imitate the style of hand-stitched quilts made in Marseilles, France. Matelassé fabric is often used to make bedding. Mid-Century Modern Style: is a mid-20th-century style of architecture, furniture – and product design that originated in the early 1930s and continued into the mid-1960s. Often referred to as simply “modern”, the style is characterized by simplicity, clean lines, organic forms, and the use of moulded plywood, metal, and plastic. Mid-Century Modern design was greatly influenced by the uncomplicated and practical Scandinavian designs of that time. It was also a golden period of furniture design – gorgeous and innovative designs by masters such as Charles & Ray Eames, Verner Panton, Eero Saarinen and Arne Jacobsen – but to name a few. Military Chest: (or Campaign Chest) is a sturdy chest of drawers most popular during the 18th and 19th century. The chest was specifically designed to be carried and used by officers on military campaigns. Typically, a military chest dismantles into two halves with removable feet and often has flush or hidden handles – all to ease mobility. A military chest is easily recognizable by its brass capped corners and the strapwork between the drawers – originally added to strengthen and protect the edges of these pieces as they were moved. Moire: is a fabric with a wavy, rippled appearance traditionally produced mainly from silk however wool, cotton and rayon can also be used. The most common technique for making moire fabric is calendering, where the material is folded, moistened and passed under ribbed rollers at high temperatures and pressures. This watered effect can also be imitated using either weaves or colour printing methods but will lack the shine and dimension of true moire. Interestingly, the term moire is used to describe the cloth and moiré the pattern. Ombre: is a French term meaning “shaded” or “shading” and refers to a dyed, printed, painted, or woven design of which the colour graduates from light to dark. Said to be an extension of the 60′s hippie tie-dye trend, Ombre can either be applied in a gradual saturation (the “dip-dye” effect) or in stepped, stripe-like shades (the “colour chart” effect). Parquet or Parquetry: (from the French meaning “small compartment”) is a floor finish composed of wooden blocks or strips arranged in a decorative geometric pattern. Parquetry can occasionally feature a mix of different timbers or inlays of other materials such as marble, tile or stone. The most popular parquet flooring pattern is said to be herringbone. Passementerie: (pronounced “pahs-mahn-tree”) is the art of making intricate trimmings and decorative edgings such as braids, cords, fringes, pompoms, tassels, tiebacks, galloons, and gimps for furnishings, décor softs, drapery, or specialized clothing (for example military uniforms). Prêt-à-porter: is actually a term often used in the fashion design and retail industry meaning “ready-to-wear” or “off-the-rack”. When using this term in relation to décor, usually furniture, it indicates that the particular collection or item is not a custom-made item (i.e. something that is going to take 6 weeks to manufacture) but a ready-made, off the floor item that can be purchased straight away. Recycle: This means that an object has been made redundant (it has no other use) and can be trashed or re-purposed. The item is then taken, broken down and reinvented to emerge as a brand new item. A clever South African designer by the name of Heath Nash has designed and produced many works of art from useless recycled objects & trash like plastic bottles. Refectory Table: a very long and narrow table with trestle-like legs which are joined by a low-slung stretcher. It was originally used as dining tables in the refectory, or rather dining hall, of monasteries during the medieval era. Secular use of the table spread to the Mediterranean and the rest of Europe during the late 16th century. Selvedge: or “selvage” (US English) is a narrow border or self-finished edge on either side of a woven fabric. This prevents the fabric from unravelling or fraying. The term is a corruption of “self-edge”. The selvedge often contains the manufacturer’s mark, designer name, and other relevant information like pattern repeat and colour scheme. Fabric near the selvedge is frequently discarded as it may have a different weave pattern or thickness. Semainier: is a tall, narrow chest with seven drawers – one drawer for each day of the week. Popularized in 18th-century, the name derives from the French term, “semaine”, meaning “week” and was designed for storing lingerie, personal linen and other unmentionables. Slipper Chair: is an armless upholstered chair with short legs that sits closer to the ground. Popular in the early 18th century, this chair was used as seating in ladies’ boudoirs as it’s low-slung, armless features were perfect for accommodating the fashionable voluminous dress skirts of the time. Today, however, the slipper chair is often found in the living room. There are many different styles of slipper chairs – from traditional designs which are ornate and slightly rounded, to more contemporary rectangular chairs with clean lines. Sofa Table: a high, long, narrow table positioned behind a sofa to display both decorative and functional items, such as lamps. Dating back to the late 18th century, sofa tables originally featured a drop leaf on either side and often contained one or more shallow drawers. Sofa tables have since evolved – gone are the drop leaves, although most modern sofa tables still have drawers. Toile de Jouy: (often simply referred to as “toile”) is a repeated single-coloured pattern depicting intricate scenes, usually of a pastoral theme (such as a couple having a picnic by a lake). Other Toile imagery includes arrangements of flowers and fruit, country or farming landscapes and mythological and period-specific figures. The term derives from French – “Toile” meaning cloth, while “Jouy” refers to the French town Jouy-en-Josas, near Versailles. Trestle: (from the Latin trānstrum meaning “crossbeam”) a wooden or metal frame consisting of two pairs of slanting legs joined by a horizontal beam, often used in pairs to prop up a flat surface such as a table top. There are two main variants of trestle structures used in furniture design – the traditional fixed trestle and the more contemporary collapsing trestle. Furniture pieces with collapsing trestle legs are easy to assemble and store, while the fixed trestle structure is sturdier. Triptych: (pronounced “triptik”, from the Greek meaning “three-fold”) an artwork consisting of three panels – a typically larger middle panel, flanked by two smaller related works. There are however triptychs of equal-sized panels. Historically, triptych panels were hinged in order for the work to be folded for easy transport. A triptych may consist of three separate images of the same theme or maybe one larger work split into three. Upcycle (or up-cycle): Upcycling is not a new trend, yet to many, it is now gaining visibility due to the fact that the current nostalgic trend is driving it forward. Upcycling involves taking an unwanted item (such as an old piece of furniture) and creating something new with it, thus increasing its value as a bespoke item, yet still retaining the items sense of origin. Vintage furniture is being given all sorts of treatment with paint and the like, changing it from undesirable to totally desirable and trendy, thus increasing its value. An excellent example of upcycling is the pieces created by Katie Thompson of Recreate. She (re)creates items made from old farm metal bathtubs, buckets and pails and old leather suitcases, which she converts into ottomans and seats. Verdigris: is a bright blue-green patina, or natural “coating”, that is formed when copper, bronze or brass is exposed to air or seawater over a period of time. The Statue of Liberty is an excellent example of this. The term is a variation on the Old French “vert-de-Grèce”, meaning “green of Greece”; however the contemporary French spelling “vert-de-gris” translates to “green of grey”. Until the 19th century, Verdigris was also a sought-after green colour pigment often used in paintings. Voile: is a soft, sheer, lightweight fabric, usually made of 100% cotton or cotton/synthetic blends. The term derives from French, meaning veil. Available in a range of patterns, colours and different thicknesses and textures, voiles are often used as curtaining. Sheer voiles are frequently paired with heavier curtains as it lets in natural light whilst retaining privacy but can also be used on its own for a lighter summery feel. Window Treatment: To “dress” or “cover” a window opening. It is interchangeable with the term “Window Coverings” (only difference is that it sounds posh and professional). Window coverings can be custom designed to specific measurements and styles. It can be either functional or decorative or both. Window coverings/treatments include blinds, curtains, shutters, drapes, fabrics, hardware and tiebacks applied to the window opening and adjoining wall space. Wingback Chair: is an upholstered high-back armchair with angled upholstered panels or “wings” attached to the back that curves down to join the arms. Originally, the wings were designed to protect the sitter from drafts. There are many wing “styles” – the most typical being the flat-wing and the scroll-wing. Other more flamboyant adaptations include the bat-wing and butterfly-wing chairs – and that is just naming a few. Zebrano or Zebrawood: is an exotic wood of the Microberlinia tree found predominantly in central Africa. The wood, which is golden brown in colour with pronounced dark brown streaks, got its name from its resemblance to a zebra’s stripes. Because of its decorative appeal, Zebrano is often used for veneers or inlays as well as custom furniture and accessories. If you want to know the meaning of a certain décor / design related word or if you have a suggestion, please don’t hesitate to contact us!